Full attention to ethical and legal issues is given within the evidence-based approach to practice provided in the text. Introductory chapters focus on recognition of signs and symptoms, classification and diagnosis, psychiatric assessment, and aetiology. 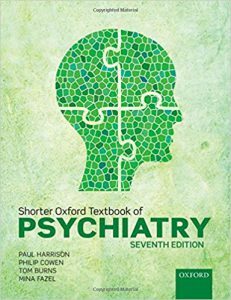 Further chapters deal with all the major psychiatric syndromes, as well as providing detailed coverage of pharmacological and psychological treatments. The book gives equal prominence to ICD and DSM classifications – often with direct comparisons – making the book relevant to the practice of psychiatry throughout the world.